What's New on DC Universe: Complete DEATH OF SUPERMAN, THE NEW TEEN TITANS, and DOOM PATROL Comic Runs! It's 2019! With this new year comes the all-new, very long-awaited third season of Young Justice, as Nightwing, Superboy, Miss Martian and the rest return for Young Justice: Outsiders -- which dropped its first three episodes on January 4th. On Friday, January 11th, episodes 4 through 6th are set to premiere, giving fans a triple dose of new action and adventure. Fans can join our Community this Friday night at 5pm PST/8pm EST to join a Young Justice Watch-Along of the three latest episodes. And you can look forward to plenty of video coverage of Young Justice: Outsiders when DC Daily returns this Friday, January 11th. As we begin this year, we want you to know that we’ve heard a lot of your feedback regarding the comics on DC Universe, and we’re switching up the selection of titles for all of you. This week, for example, you can enjoy such classic storylines as "The Death of Superman"/"Reign of the Supermen"/"The Return of Superman" (originally published in Superman, Action Comics, Adventure of Superman, and Superman: The Man of Steel), as well as writer Marv Wolfman and artist George Perez's entire run on The New Teen Titans, Tales of the Teen Titans, and The New Teen Titans volume 2; Perez's run on Wonder Woman; and writer Grant Morrison's runs on JLA and Doom Patrol. Thank you for your patience, DC Universe fans! And speaking of "Reign of the Supermen"/"The Return of Superman"... In honor of these epics coming to life on screen via the animated movies The Death of Superman and the upcoming Reign of the Supermen, we have a "Death and Return of Superman Collection Sweepstakes" running until January 18th. Don't forget that at the end of this month, Fathom Events’ double feature of The Death of Superman and Reign of the Supermen will be screened in movie theaters nationwide on January 13th and 14th. You can buy your tickets now on the Fathom website. 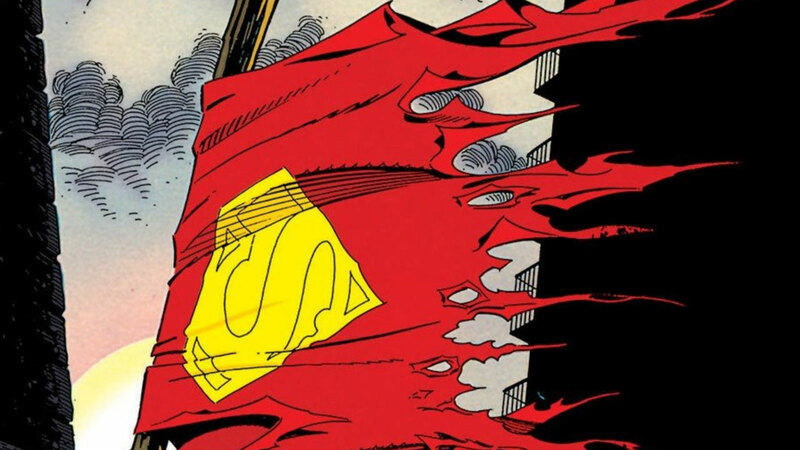 You can watch The Death of Superman here on DC Universe now -- and Reign of the Superman on DC Universe on January 29th! What are you most excited about right now on DC Universe? Let us know in our Community!